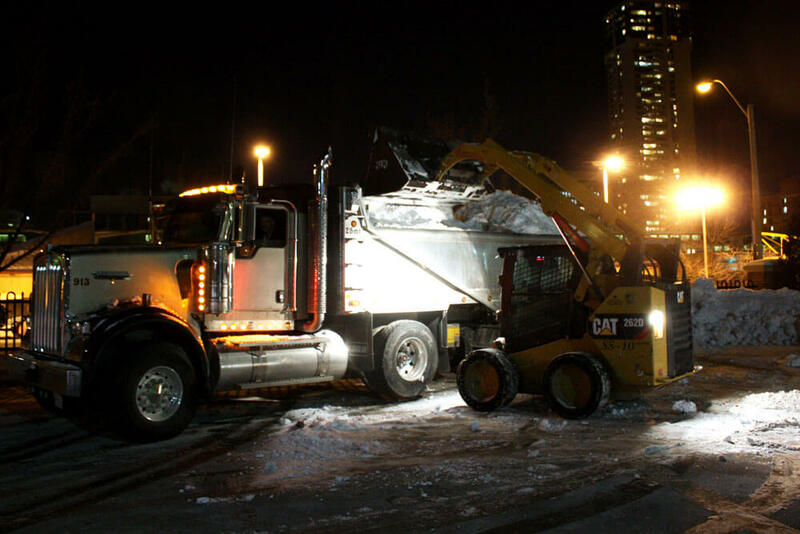 Snow removal will increase an area’s usability, reduce liability, and reduce the amount of deicer required to eliminate ice. Envision does a mix of on-site and off-site removals. Both are priced hourly and are dependent on site conditions. As part of any on-site and off-site removals, Envision Landscapes clears the property curb-edge to curb-edge to create a presentable site. This allows full use of parking areas and roadways. 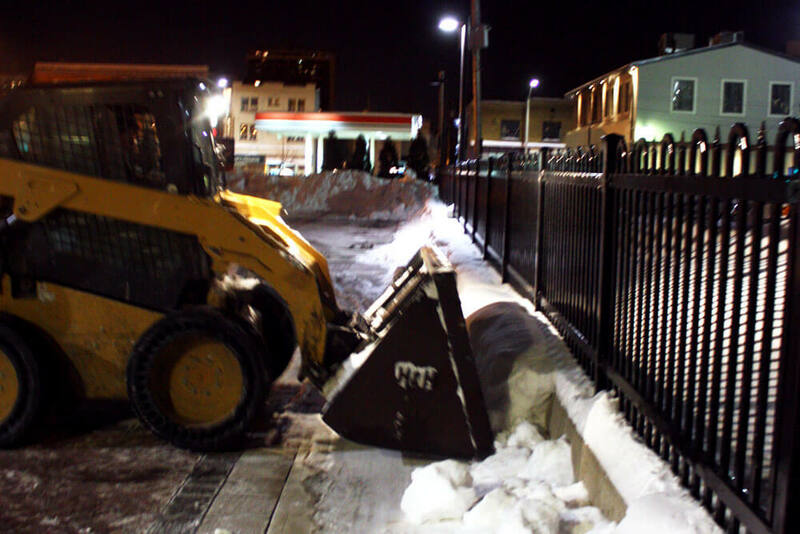 On-site removal covers the movement of snow within a single property to clear out the snow stacking area. 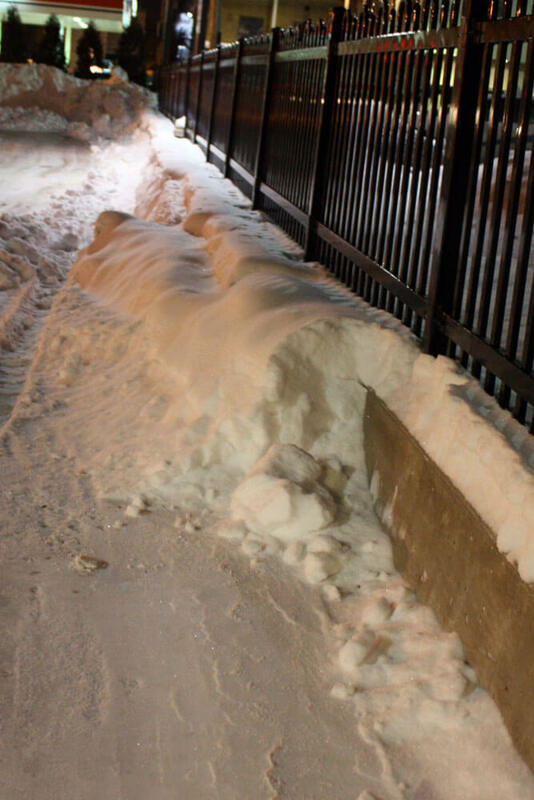 The snow is generally moved to an area off of the asphalt to a determined location where the water can drain when it melts. 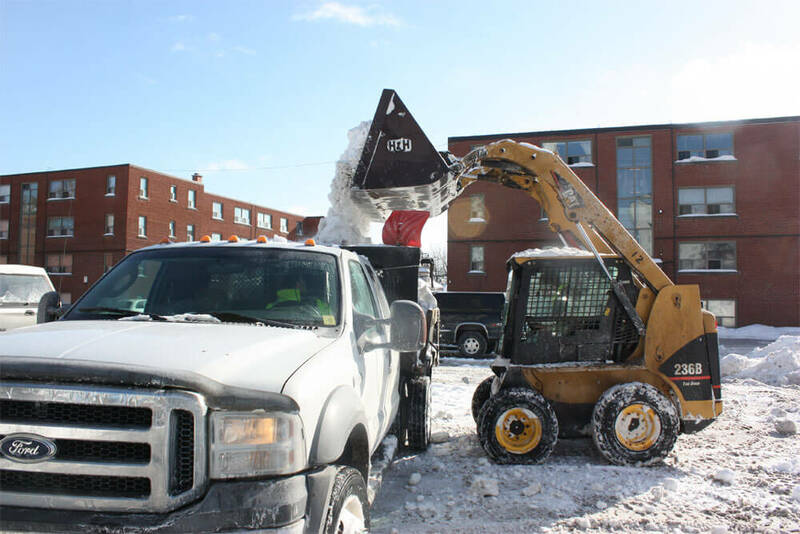 Off-site removal involves trucks to move the snow to a separate location. 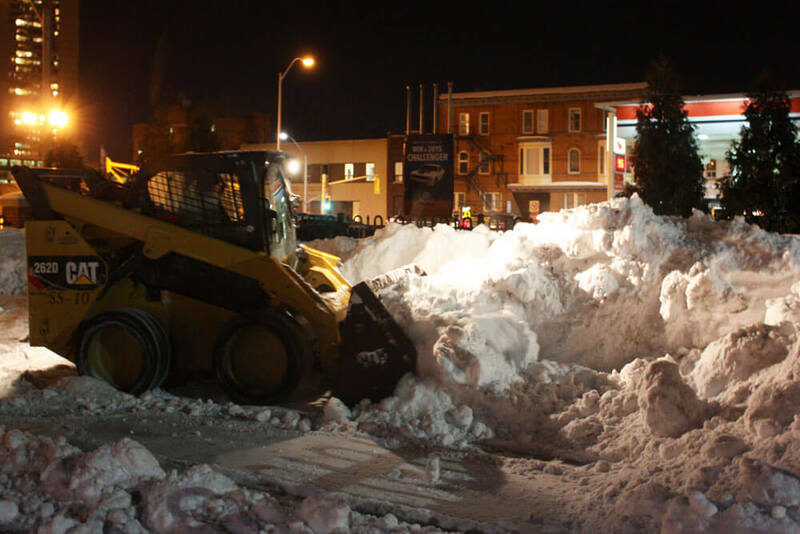 This is commonly used for properties that have very tight parking areas with nowhere to move the snow on the property. 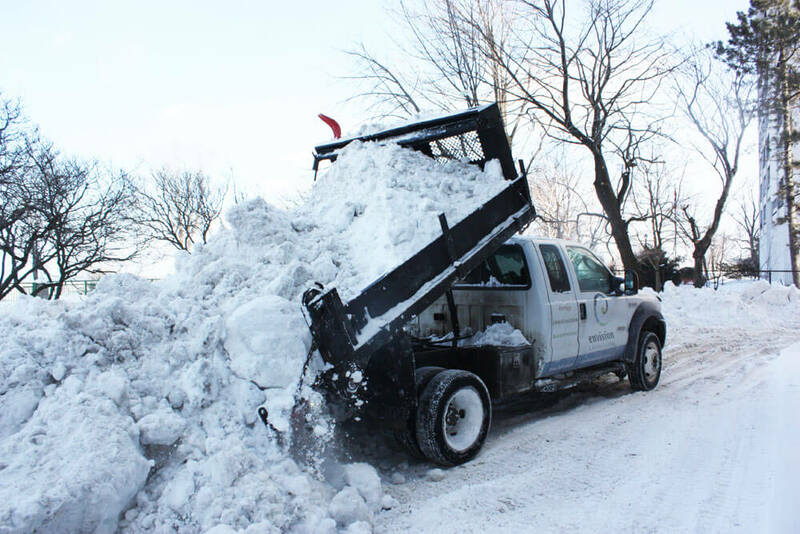 Removals are often done during the evening to provide optimal snow removal with the least amount of interruption to the client. Feel free to contact us to determine what solution works best for you.